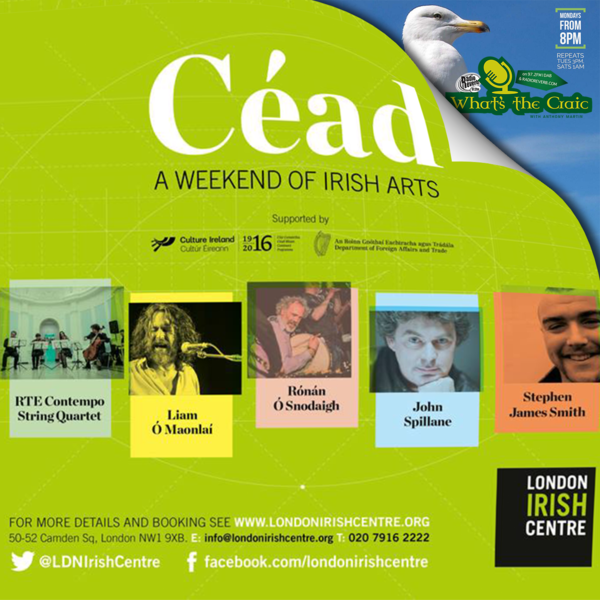 We chat to Gary Dunne, Director of Arts at the London Irish Centre about a weekend of events they have coming up from 24th to 26th June as part of their 1916 centenary celebrations. We talk about that and what other services and culture the London Irish Centre offers. What's the Craic is a weekly Irish radio show that broadcasts on Brighton's Radio Reverb on 97.2FM, DAB and online at radioreverb.com. You can hear it live Mondays at 8pm or catch the repeat on Tuesdays at 3pm or Saturdays at 1am GMT. You can follow us on Twitter at @whatsthecraicrr or on facebook.com/whatsthecraicrr for up to date news on whats coming up on the show and to get in touch with us.